intention of marrying their prospective spouse. Once they have entered Australia they have 9 months in which to marry. The marriage can take place in Australia or overseas. After marrying their prospective spouse (and while visa is still in effect), the visa holder can apply for a onshore Partner visa. 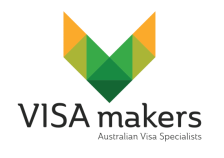 Temporary visa permitting the holder to travel to, enter and remain in Australia for 9 months from date of grant.